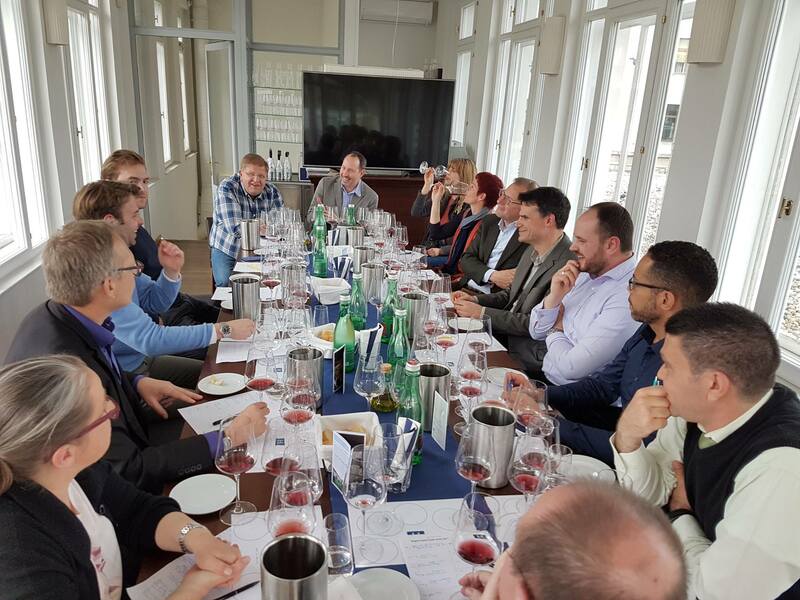 17 Pinot Noirs from 4 continents were tasted at our 4th taste´n´talk on the 26th of April, 2017. The event was masterfully led by David Arnold. It was a convivial evening which really highlighted the broad interpretations of this diva of Grapes. 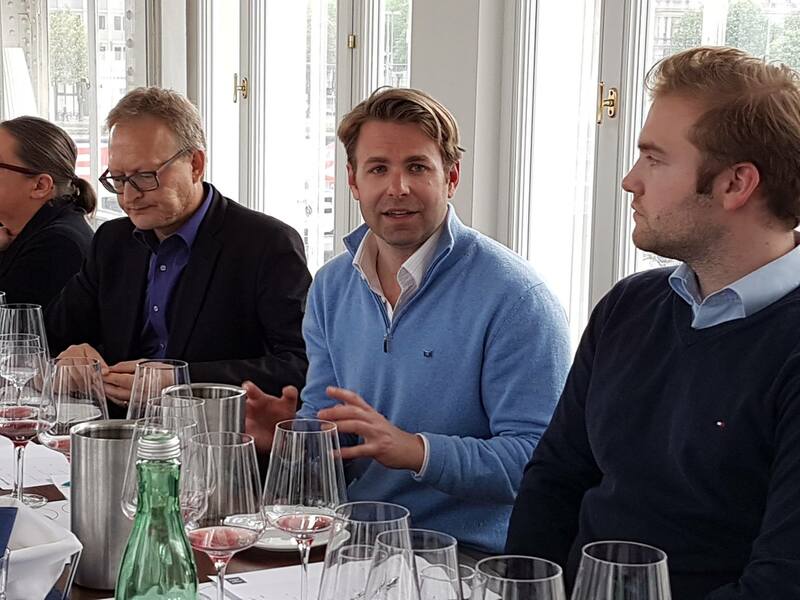 The event was chaired by David Arnold, a Pinot specialist and Burgundy broker from Berlin. 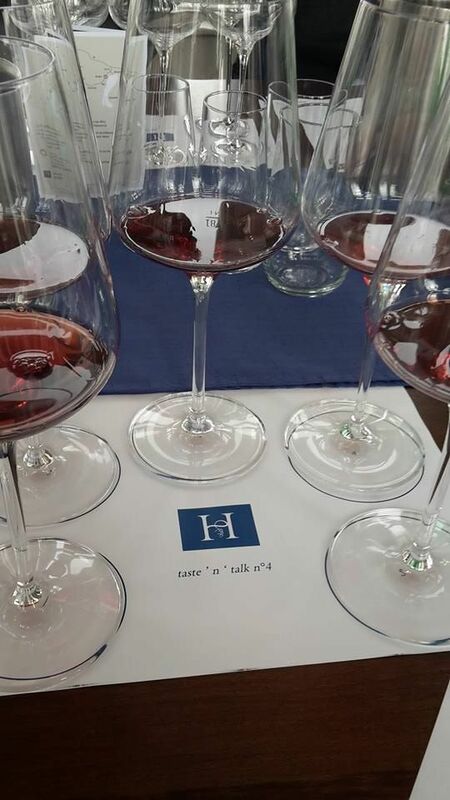 17 Pinot Noirs from Austria, Italy, France, Germany, California, South Africa and New Zealand were blind tasted and rated in 4 different flights. Pinot noir is increasingly being grown across the world and while those from Burgundy came out top in their flight the Germans are giving them a run for their money. We are proud to say that only did Hoepler Pinot Noir 2015 win its flight but it knocked the ball out of the court for its price quality offer.